Artists worldwide have been teaming up with Hard Rock International for more than twenty years as part of the brand’s acclaimed Signature Series program. Now U2 have added to the collection by launching a limited edition t-shirt to benefit Amnesty International. The design features an electric guitar with angel wings, emblazoned with the words “JUSTICE”, “HUMANITY” and “EQUALITY”. The back of the T-shirt includes the signatures of each member of U2: singer Bono, guitarist The Edge, bassist Adam Clayton and drummer Larry Mullen, Jr. 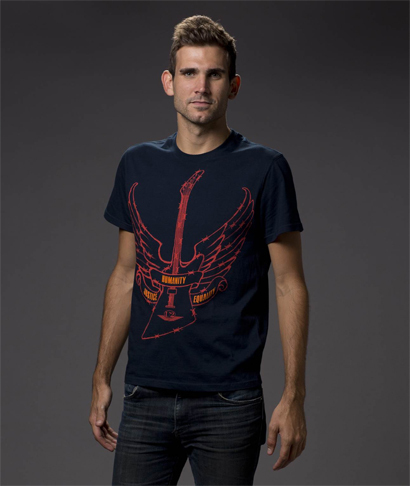 The new T-shirt is available in Hard Rock properties worldwide and also online.